Algiers: Algeria’s powerful army chief insisted Wednesday that the military won’t get mixed up in politics, a day after he said a constitutional process should be set in motion to declare ailing President Abdul Aziz Bouteflika unfit for office. A barrage of criticism, mainly from opposition parties, continued after the surprising remarks by Ahmad Gaid Salah, who is among the president’s most loyal cohorts. “We have never and will never deviate from our constitutional mission,” the army chief said in an address at a military base in southern Algeria. The North African nation is trying to find a way out of a major political crisis which has led to massive demonstrations each Friday since Feb. 22 to demand the departure of the 82-year-old president and the system he represents which is widely seen as being corrupt. Bouteflika, in office since 1999, canceled the April 18 presidential election and withdrew his bid for a fifth term, but announced a transition process that opponents fear could keep him in power indefinitely. Bouteflika has rarely been seen in public, and not addressed the nation in person, since a 2013 stroke. Some of the president’s traditional backers fell in line Wednesday with Gaid Salah’s suggestion the Constitutional Council invoke Article 102 to declare the president unfit. The parliament must then pass the measure. One of the main party’s in Algeria’s ruling coalition called for Bouteflika’s resignation. The RND party’s secretary general and, until recently, prime minister Ahmad Ouyahia said in a written statement it “recommends” Bouteflika’s resignation to facilitate the transition of power. 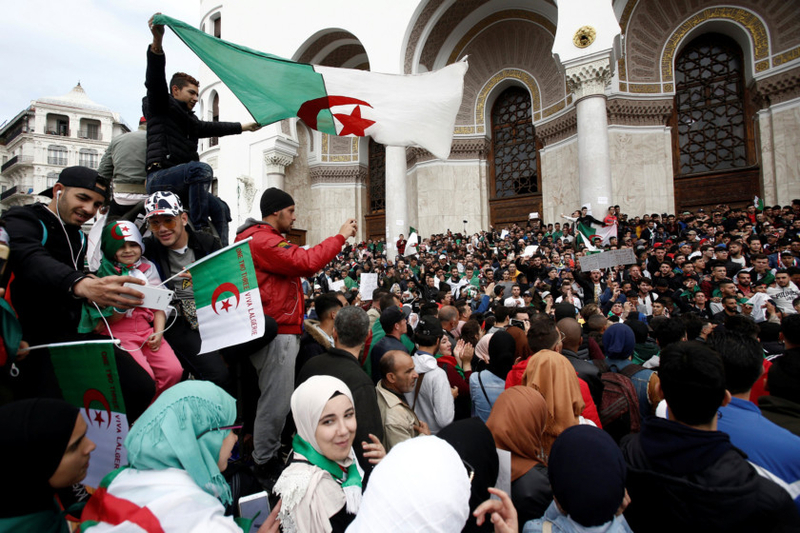 Earlier this month, Bouteflika overhauled the government. He said he planned to establish a national conference to draft a new constitution and set a new date for the election. Bouteflika is credited with bringing peace to his nation after the bloody civil war of the 1990s.